I noticed a list of the top 5 most disputed antiquities in the world. 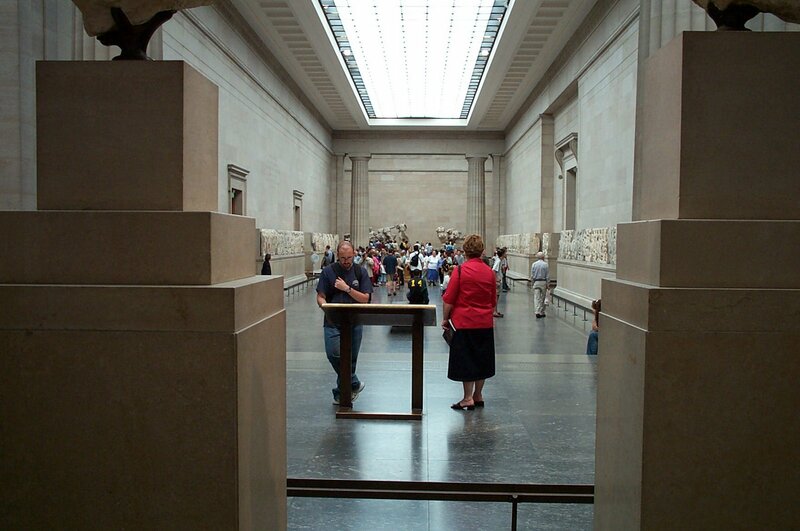 At number 1 are the Parthenon Marbles. Would the Morgantina "Aphrodite" have been in your top 5? There is no mention of the Rosetta Stone, the Getty Athlete, or the Benin Bronzes. What about the Egyptian mummy mask in the St Louis Art Museum? What would LM readers suggest as their top 5? Would you differentiate between historic removals and items that have surfaced in more recent years? You should present the results of the survey at AIA ceremony next January! The question is: Disputed by whom? Why a top five? Why not a top ten, which is how most of these senseless polls proceed? That would include most of the usual suspects. In any event, there's no dispute that these are all disputed. The question is, what's to be done about them and will that list look any different ten years from now? Absolutely Agree with Marc and Tom. @ Marc: the message is still obviously not reaching the right people, i.e. the buyers at the end of the chain. As long as there are people out there who do not see the link between looting, having no registered documents, and cultural heritage destruction, it is all wishful thinking. @ Tom: first, I found it also odd to have a poll, but this is how you may reach audience who are into competing. Is there already a facebook page where Parthenon-marbles, Rosetta stone, Benin bronzes do some networking? Might be a good exercise for students to develop one. What is the experience of the Morgantina Aphrodite, and what would she tell to her fellow-looted companions around the world? But then again, it is easy to become frustrated because we know that there are hundreds of thousands antiquities out of their context. But the media is big in education here. How about a prime time show "Dancing with the Antiquities?" Winner goes back. But then again, this might again just foster the illicit market. Paul, This is fun! Thanks for sharing! Not so funny, of course the whole situation. Paul, Thumbs up also for your important work and the website, which I will follow from now on, too. Thank you! It's a pity more of the Parthenon wasn't saved by the English before the Turks used it as an ammo dump in 1683; it's also a pity the Bamiyan Buddhas were too big for the West to rescue. That said, the Etruscan chariot of Monteleone (now in the Met: http://tinyurl.com/BigaNostra) probably belongs in the list, since it was spirited out of Umbria and Italy in the familiar sub rosa operation. The really important question now is, as Tom Flynn has stated, what is to be done about these disputed objects. Do we approve of those who have looted artefacts of others, keeping them in their museums and are unwilling even to discuss the eventual return of some of the objects?